It is common knowledge that rheumatoid arthritis (RA) is painful to the joints. Knowing the underlying causes of RA is helpful in understanding the pain, and in subsequently managing the pain. RA is an autoimmune disease. At a very simple level, this means that the body attacks itself because it sees itself as foreign. When you have RA, the immune system attacks the synovium (lining of the membranes that surround the joints). This results in inflammation, which causes thickening of the synovium, ultimately destroying the bone within the joint. In addition, the tendons and ligaments weaken and stretch, causing the joint to lose its shape. We understand that RA is an autoimmune disease. As with other autoimmune diseases, we don’t fully understand what actually causes the body to attack itself. 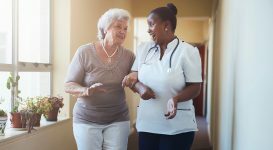 Genetics may play a component — although having the necessary genes for RA won’t always cause RA, they may “turn on” autoimmunity when an environmental factor is added to the mix, such as a virus or bacterial infection. There are also certain risk factors that can increase your risk for developing RA. For example, women develop RA more commonly than men. 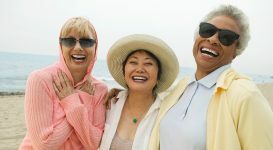 Although it is diagnosed at any age, it is most common to receive a diagnosis between the ages of 40 and 60. Smoking can also increase risk, especially for those with a genetic component. For those with RA, smoking may also make symptoms more severe. The pain associated with RA is a symptom that is caused directly by the disease process. As it affects the joints directly (although it can affect other body parts as well), the inflamed joints hurt, sometimes excruciatingly. Pain can be even worse if you have rheumatoid nodules (bumps of tissue around the joints), have carpal tunnel syndrome, or are overweight. There is a growing body of medications used to treat RA. Many are used to treat RA symptoms, while others are used to slow the progression of the disease. Nonsteroidal anti-inflammatory drugs (NSAIDs) are used to treat pain associated with RA. This includes ibuprofen and naproxen. 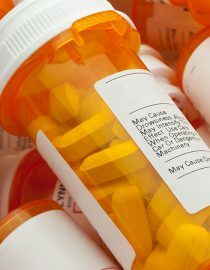 Most NSAIDs can be purchased over-the-counter, although stronger NSAIDs are available with a prescription. Steroids, such as prednisone, reduce inflammation, thus reducing pain. 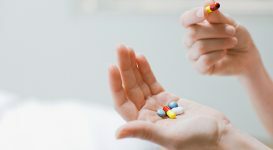 NSAIDs and steroids can significantly help with symptomology, but do have drawbacks; NSAIDs may cause heart, liver and kidney problems, while long-term use of steroids can cause weight gain and increased blood sugar levels. Medications used to slow the progression of RA include disease-modifying anti-rheumatic drugs (DMARDs). These medications include methotrexate, leflunomide, hydroxychloroquine, and sulfasalazine. 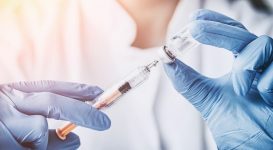 Biologics, a new class of DMARDs, include adalimumab (Humira), etanercept (Enbrel), and tofacitinib (Xeljanz), to name a few. Biologics work by targeting a part of the immune system that triggers inflammation, and is often prescribed in conjunction with a nonbiologic DMARD. If your doctor prescribed medication to for management of your RA, it is best to take it as prescribed. However, there is a growing body of research that adhering to certain dietary guidelines may help your RA symptoms. There is no cure for RA. However, a plant-based diet may significantly reduce symptoms, in conjunction with conventional treatment prescribed by your doctor. This typically means two-thirds of the diet should come from fruits, veggies and whole grains. The remaining one-third should be lean protein, such as meats and dairy products. Cold-water fish, such as salmon and trout. They are rich in omega-3 fatty acids, which has anti-inflammatory properties. For those who do not like fish, a fish oil supplement can be taken with similar benefit. Higher fiber foods. This includes fruits and vegetables. A diet high in fiber may result in low levels of C-reactive protein (CRP), which is a marker for inflammation. Extra virgin olive oil. Extra virgin olive oil may work similarly to NSAIDS because it contains oleocanthal, which is known to block the enzyme the causes inflammation. 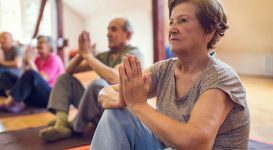 Exercise in general is good for people with RA. 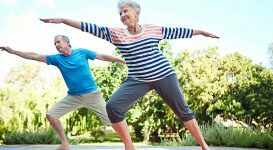 Not only does it help relieve symptoms by keeping the joints more mobile, it also promotes a healthy weight, which also may reduce pain as well. Yoga has these benefits — and then some. Yoga also has the benefit of being a “mind-body” exercise. 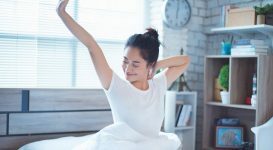 Although the person doing yoga is physically moving their body, research shows that yoga has a significant effect on anxiety and stress levels. Because yoga also focuses on relaxation and breathing, if you’re doing yoga, you are forced to slow down and breathe through the hard poses, spend five to 10 minutes in savasana (final relaxation or corpse pose) and maybe even practice mediation. On a physical level, yoga is ideal because there are many modifications for people who have a hard time with flexibility and movement in general, making it an ideal type of exercise for all types of people. Can Nutritional Approaches to Rheumatoid Arthritis Help? 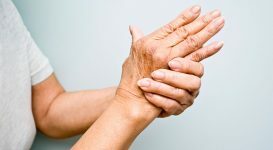 Alternative health practitioners will always answer yes to this question, primarily because they’ve seen distinct changes in their rheumatoid arthritis patients.